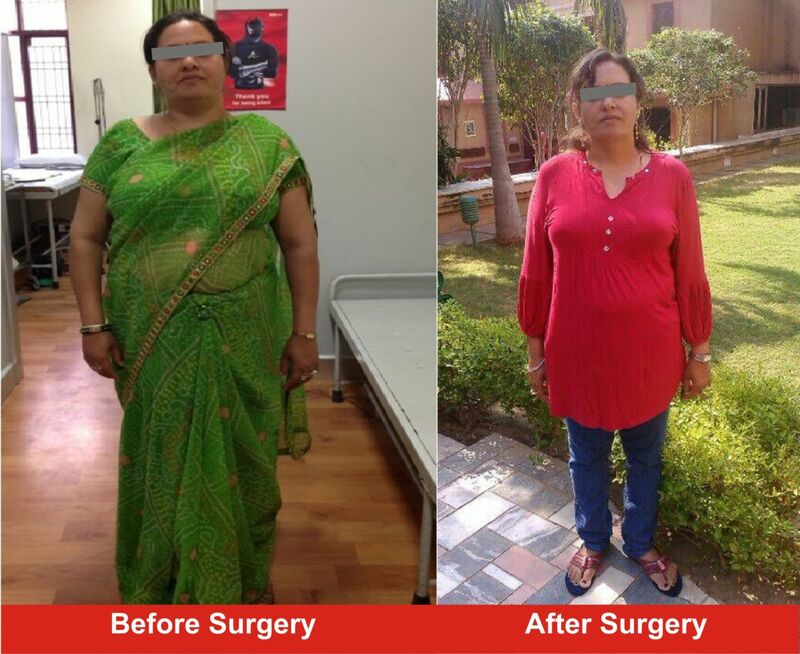 Bariatric surgery is an operation that is performed in order to help such individuals lose weight. Evidence suggests that bariatric surgery may lower death rates for patients with severe obesity, especially when coupled with healthy eating and lifestyle changes after surgery. Bariatic surgery in the from of sleeve gastreebody and gasgro dedicated to team under beedershort of Dr. Sanjay Singhal. 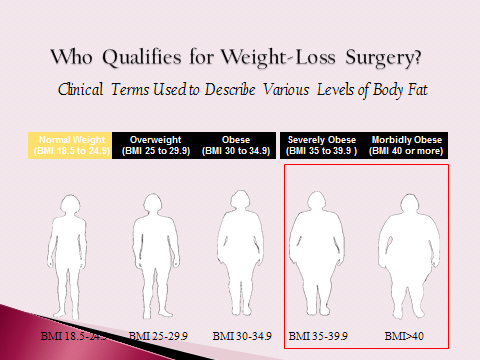 Appromately 40-50 bariatric one preformed annually. The basic principle of bariatric surgery is to restrict food intake and decrease the absorption of food in the stomach and intestines. The digestion process begins in the mouth where food is chewed and mixed with saliva and other enzyme-containing secretions. The food then reaches the stomach where it is mixed with digestive juices and broken down so that nutrients and calories can be absorbed. Digestion then becomes faster as food moves into the duodenum (first part of the small intestine) where it is mixed with bile and pancreatic juice. Bariatric surgery is designed to alter or interrupt this digestion process so that food is not broken down and absorbed in the usual way. A reduction in the amount of nutrients and calories absorbed enables patients to lose weight and decrease their risk for obesity-related health risks or disorders. Body mass index (BMI), a measure of height in relation to weight, is used to define levels of obesity and help determine whether bariatric intervention is required. Clinically severe obesity describes a BMI of over 40 kg/m2 or a BMI of over 35 kg/m2 in combination with severe health problems. Health problems associated with obesity include type 2 diabetes, arthritis, heart disease, and severe obstructive sleep apnea. 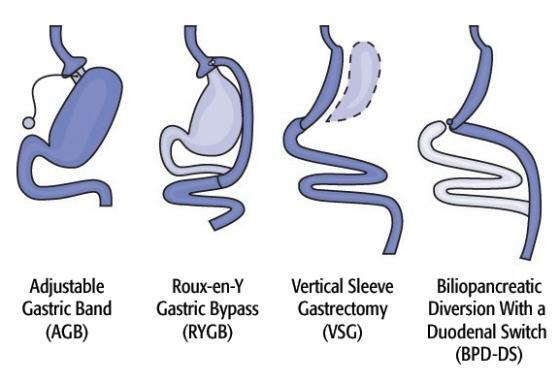 The Food and Drug Administration (FDA) approves the use of adjustable gastric banding for patients with a BMI of 30 kg/m2 or more who also have at least one of these conditions. There are various types of bariatric surgeries that can be performed. Surgery may be performed using an “open” approach, which involves cutting open the abdomen or by means of laparoscopy, during which surgical instruments are guided into the abdomen through small half-inch incisions. Today, most bariatric surgery is laparoscopic because compared with open surgery, it requires less extensive cuts, causes relatively minimal tissue damage, leads to fewer post-operative complications and allows for earlier hospital discharge. Each of the surgery types has advantages and disadvantages and various patient factors affect which procedure is chosen including BMI, eating habits, health problems related to obesity, and number of previous stomach surgeries. The patient and provider should discuss the most suitable option by considering the benefits and risks of each type of surgery. People who have had bariatric surgery need to adhere to a rigorous and lifelong diet and exercise plan to prevent complications and to avoid putting on weight after surgery. In addition, patients may develop excess loose and folded skin that requires further surgery to remove and tighten. As with all types of surgery, bariatric surgery is associated with risks including internal bleeding, deep vein thrombosis, infections, and pulmonary embolism (blood clot in the lungs). It is estimated that the risk of dying shortly after bariatric surgery is around 1 in 200. Vertical sleeve gastrectomy is surgery to help with weight loss. The surgeon removes a large portion of your stomach. The new, smaller stomach is about the size of a banana. It limits the amount of food you can eat by making you feel full after eating small amounts of food. Your surgeon will make 2 to 5 small cuts in your abdomen. The surgeon will pass the laparoscope and the instruments needed to perform the surgery through these openings. The camera is connected to a video monitor in the operating room. Your surgeon will look at the monitor to see inside your belly. Your surgeon will insert thin surgical instruments through the other openings. Your surgeon will remove most of your stomach. The remaining portions of your stomach are joined together using surgical staples. This creates a long vertical tube or banana-shaped stomach. The surgery may take only 60 to 90 minutes if your surgeon has done many of these procedures. When you eat after having this surgery, the small pouch will fill quickly. You will feel full after eating a very small amount of food. Metabolic and bariatric and metabolic surgery is as safe or safer than other commonly performed procedures, including gall bladder surgery.20,27 When performed at a Bariatric and Metabolic Surgery Center of Excellence, metabolic and bariatric and metabolic surgery has a mortality rate of 0.13 percent.27 Gall bladder removals have a mortality rate of 0.52 percent. 27 All surgeries present risks. These risks vary depending on weight, age, and medical history, and patients should discuss these with their doctor and bariatric and metabolic surgeon. Gastric bypass is surgery that helps you lose weight by changing how your stomach and small intestine handle the food you eat. After the surgery, your stomach will be smaller. You will feel full with less food. The food you eat will no longer go into some parts of your stomach and small intestine that break down food. Because of this, your body will not absorb all of the calories from the food you eat. The first step makes your stomach smaller. Your surgeon will use staples to divide your stomach into a small upper section and a larger bottom section. The top section of your stomach (called the pouch) is where the food you eat will go. The pouch is about the size of a walnut. It holds only about 1 ounce of food. The second step is the bypass. Your surgeon will connect a small part of your small intestine (the jejunum) to a small hole in your pouch. The food you eat will now travel from the pouch into this new opening into your small intestine. Because of this, your body will absorb fewer calories. You will usually not have weight-loss surgery unless you cannot lose a large amount of weight and keep it off by dieting, changing your behavior, and exercising alone. Doctors often use the body mass index (BMI) and health conditions such as type 2 diabetes and high blood pressure to determine which patients are most likely to benefit from weight-loss surgery. Gastric bypass surgery is not a "quick fix" for obesity. You must diet and exercise after surgery. You also need to know about the risks of surgery, and what your life will be like after the surgery. Copyright © 2014 Mahatma Gandhi Hospital. All Rights Reserved.